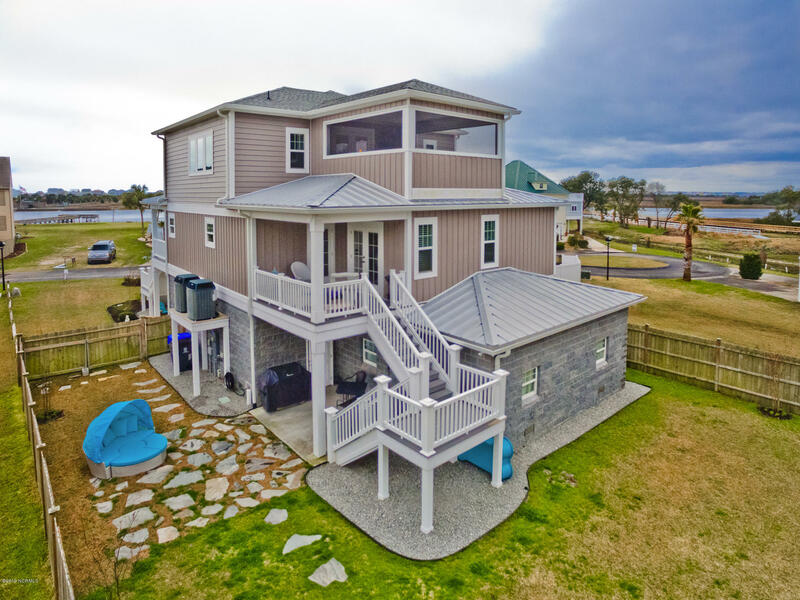 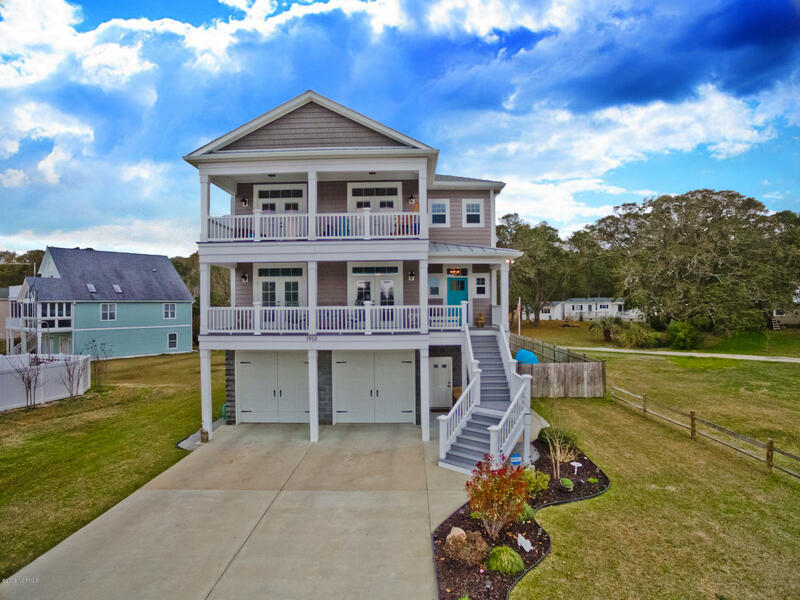 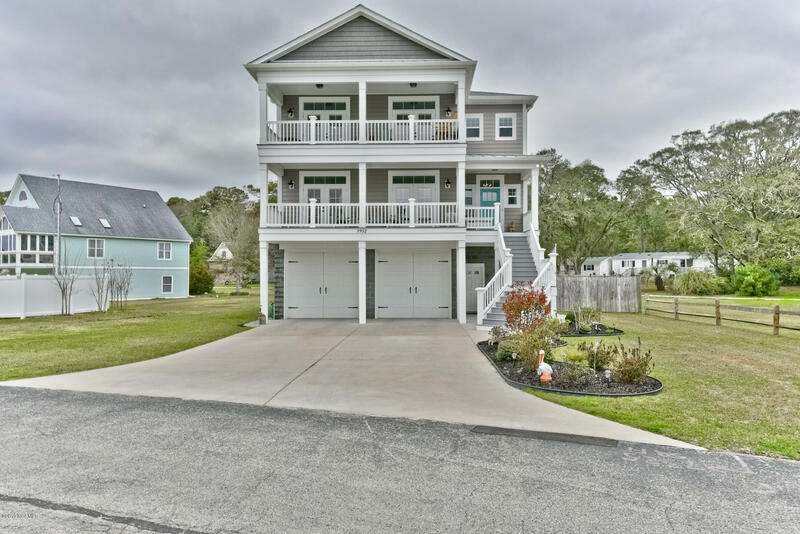 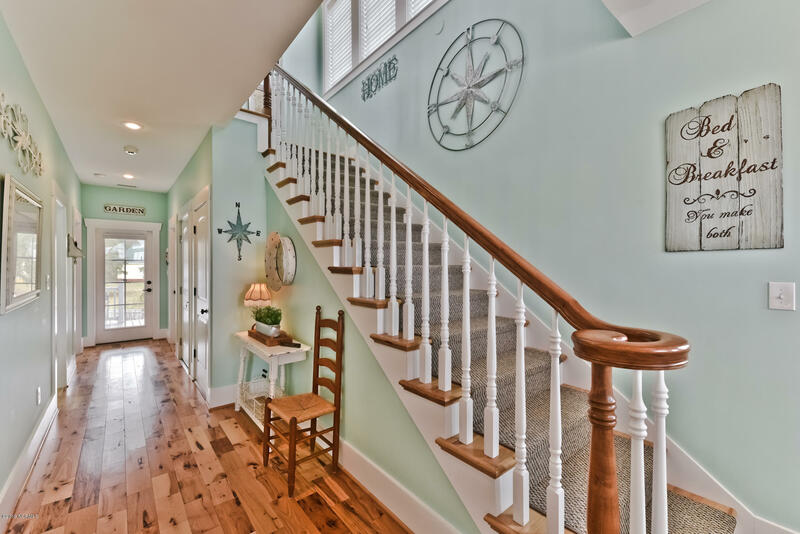 CUSTOM BUILT COASTAL HOME aptly situated within the quaint IntraCoastal Waterway community of ''The Beach at Brick Landing''. 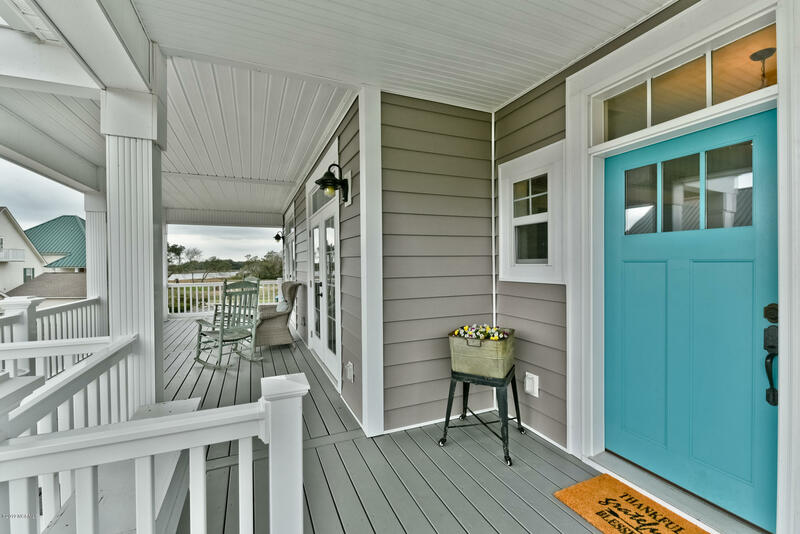 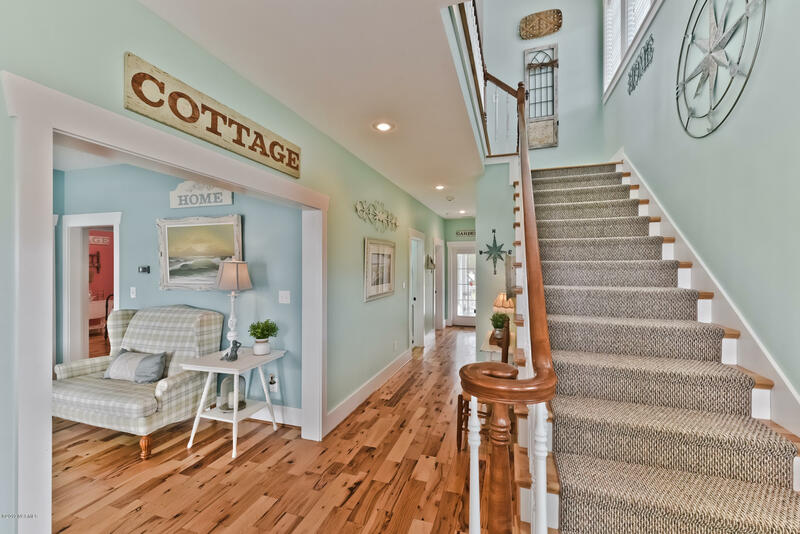 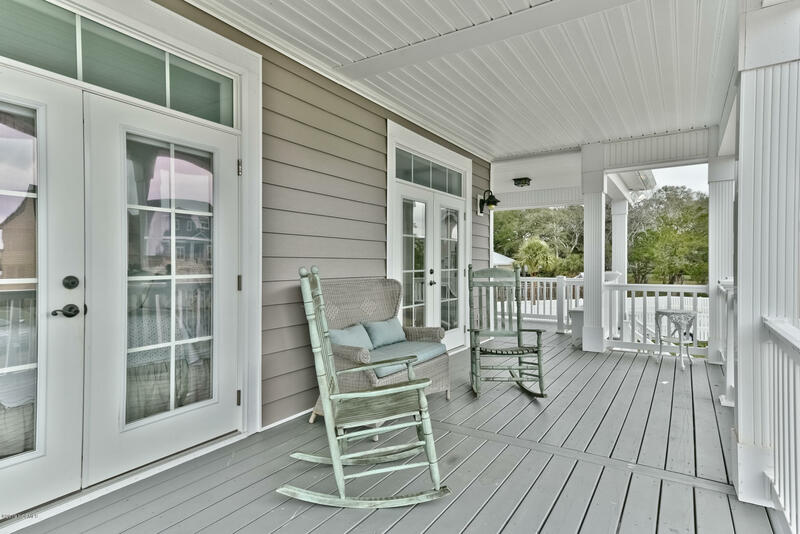 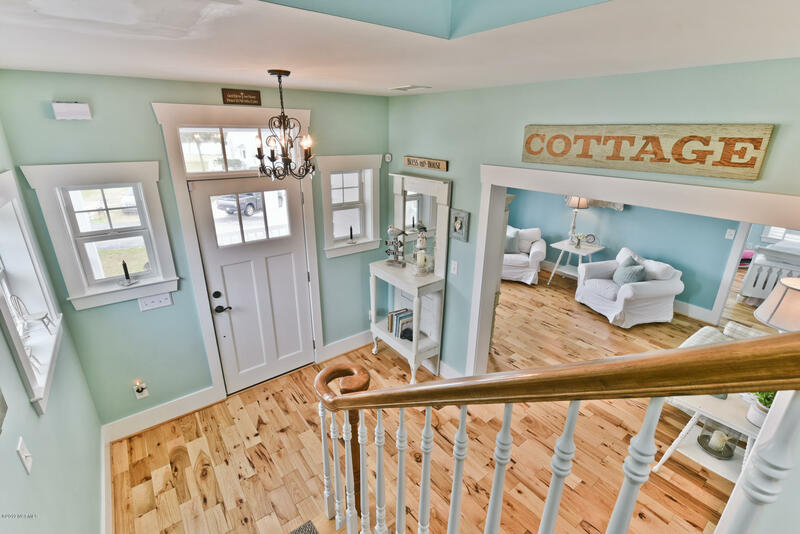 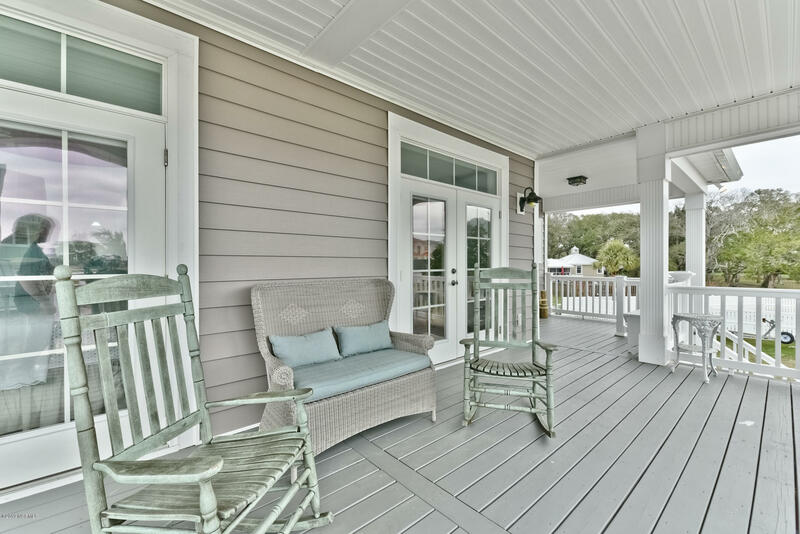 Upon arrival, the rocking chair front porches greet you & inspire the comfortable feeling of home. 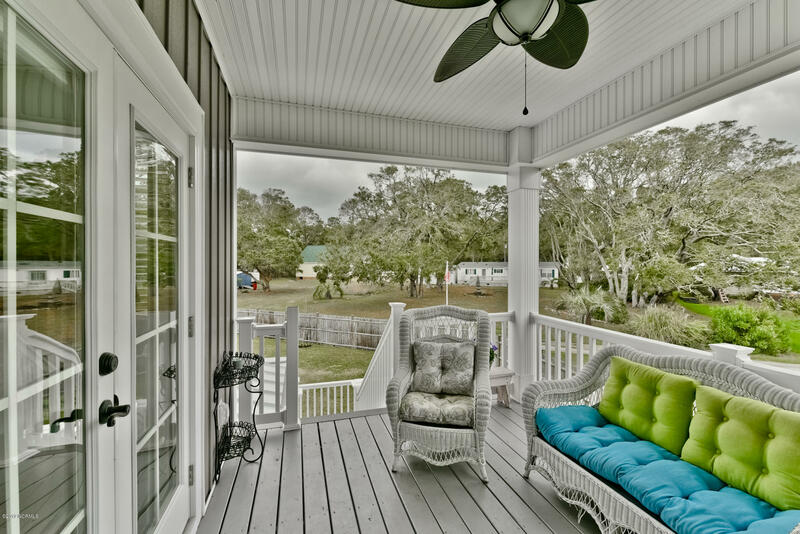 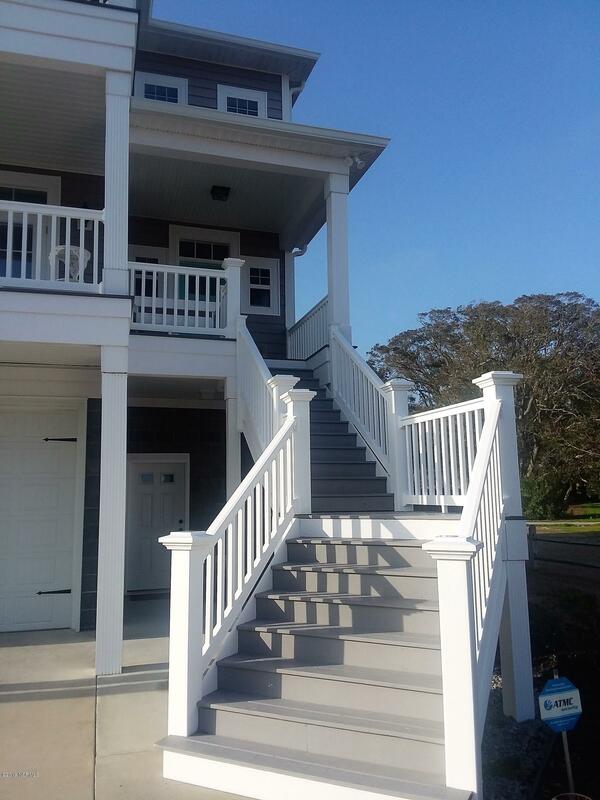 Each porch provides views of the ICW. 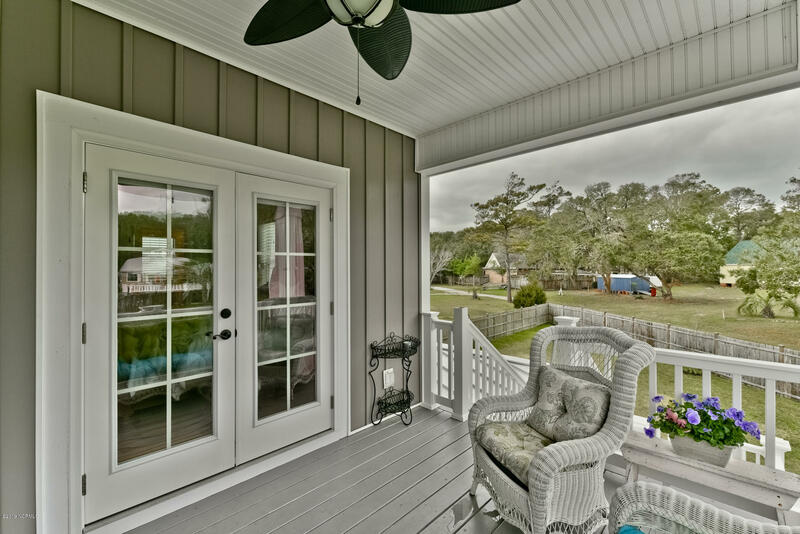 The grounds are well manicured & framed by a wooden fence that wraps the rear of the home. 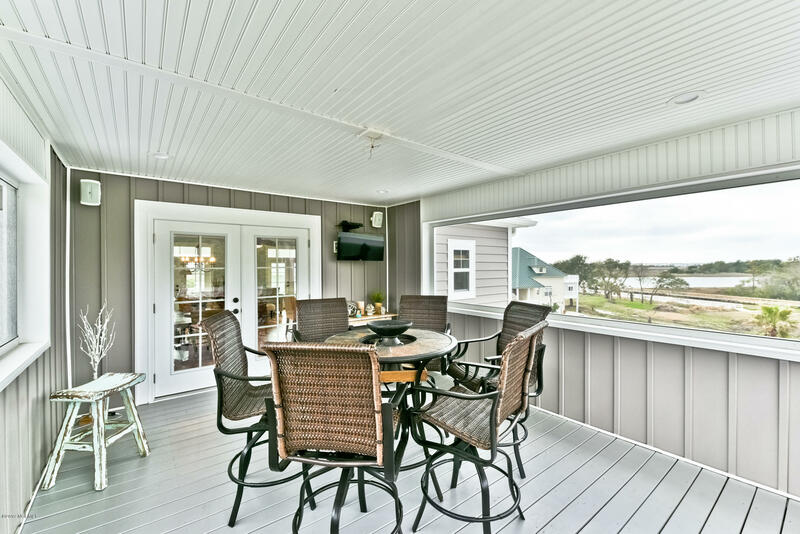 Great for summer cookouts! 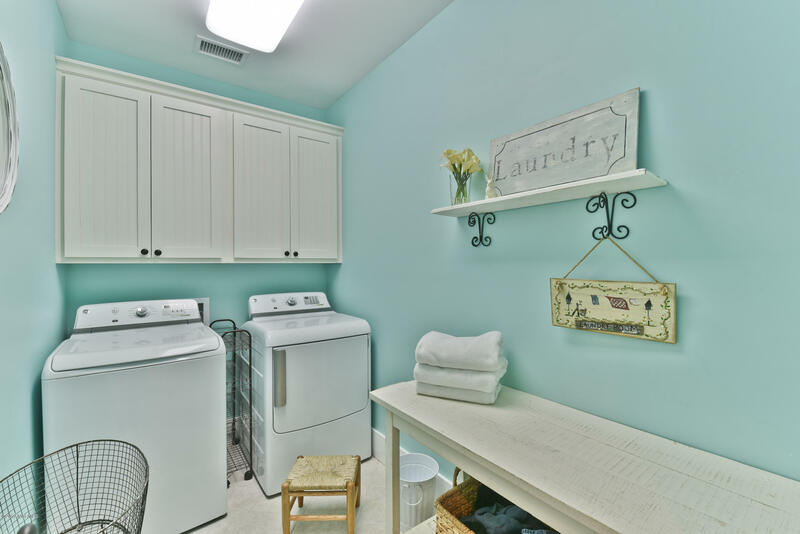 Perfect play space for all, including your pets. 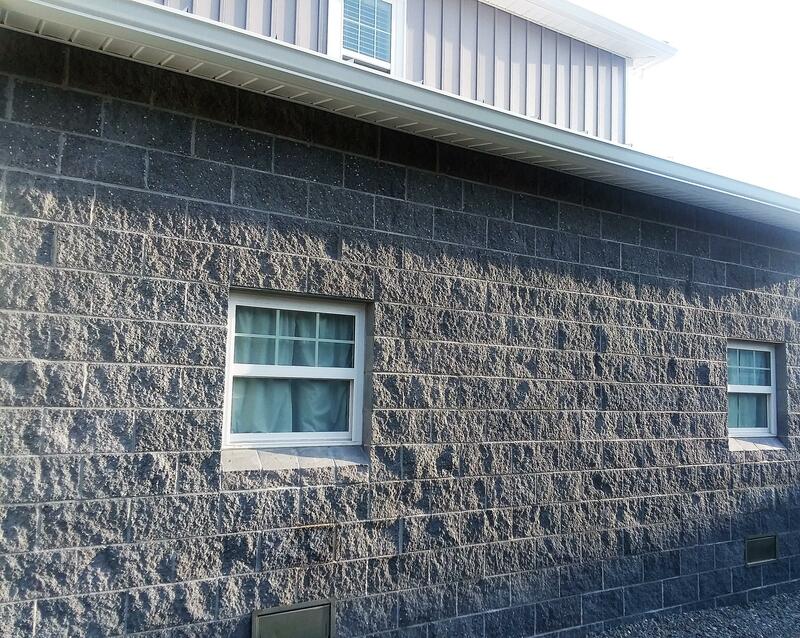 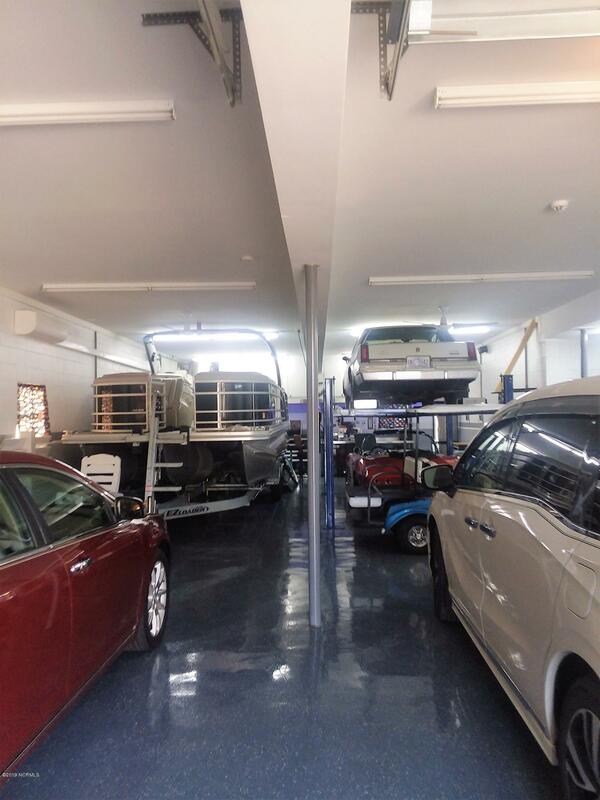 Within the ground level is an incredible 1800 sq foot garage is the perfect space for not only your vehicles, but practically all of your storage and workshop needs! 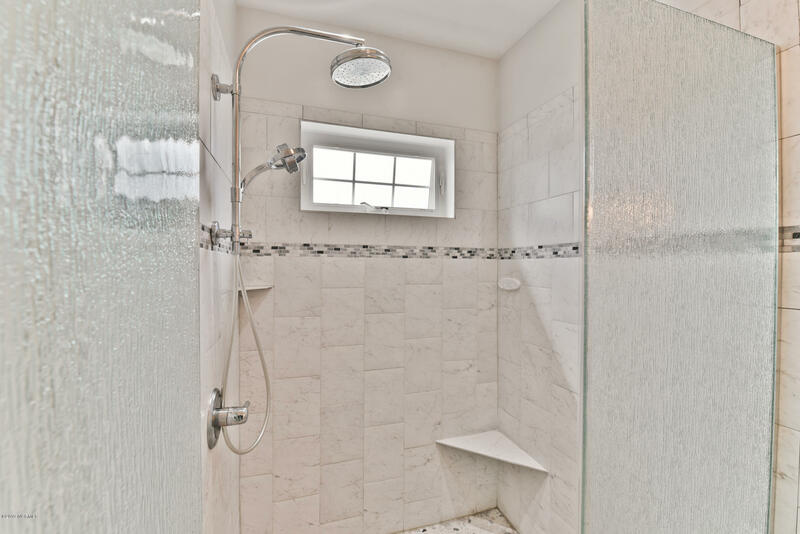 It has a split unit system for heating/cooling. 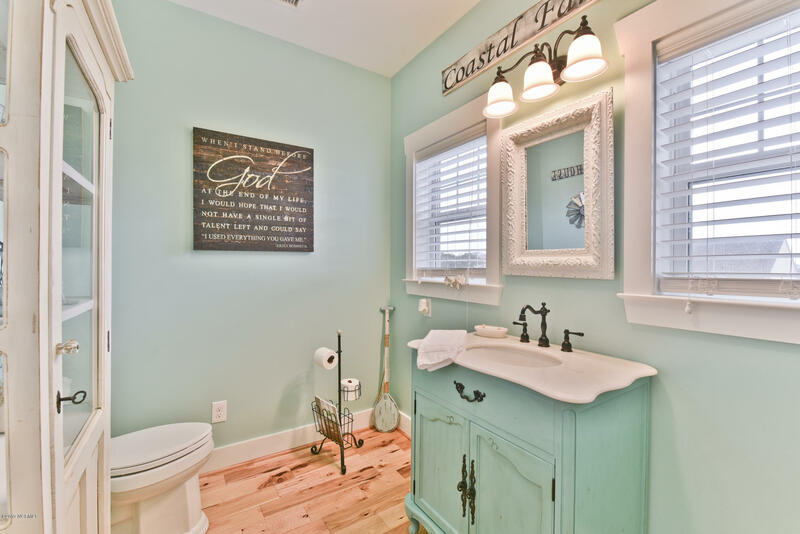 This area also offers a half bath. 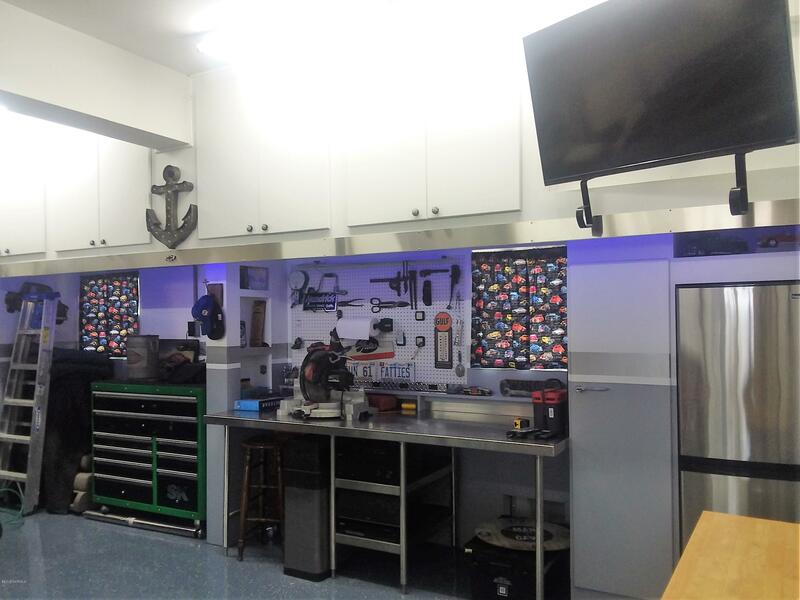 The garage floor is painted aiding in keeping the garage, vehicles & the home cleaner & is much easier to maintain. 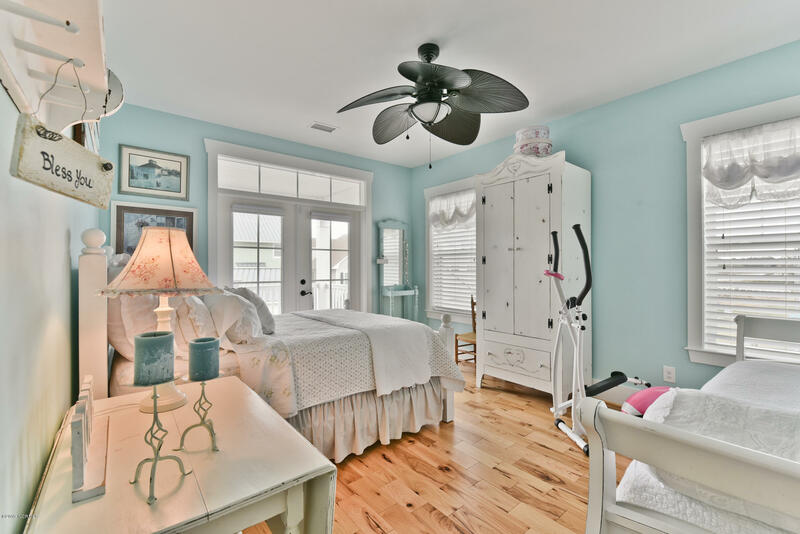 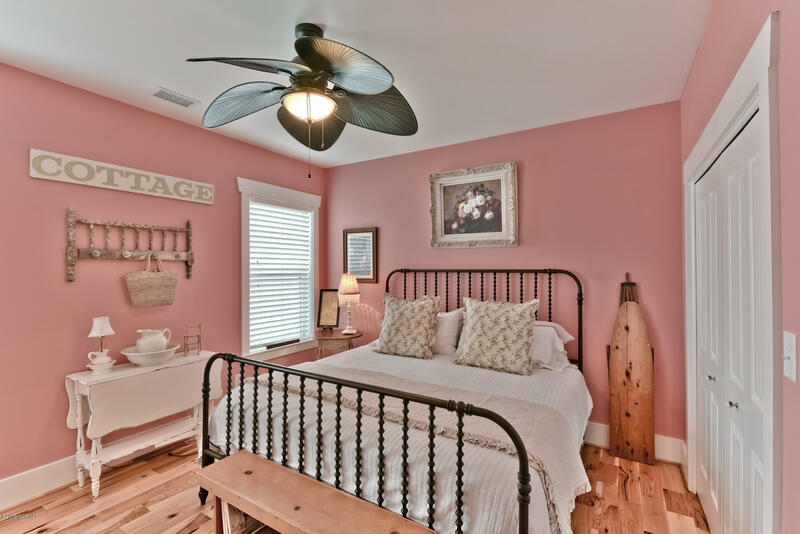 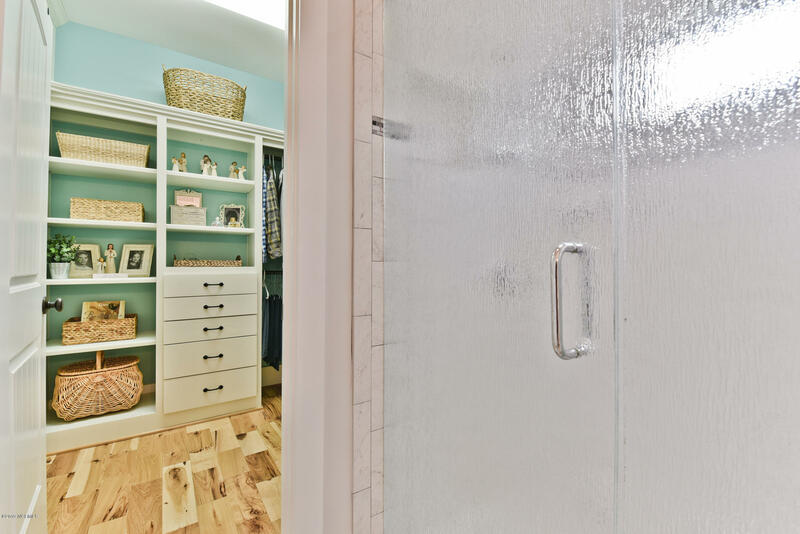 There is also an additional large closet for storing gardening tools or beach items. 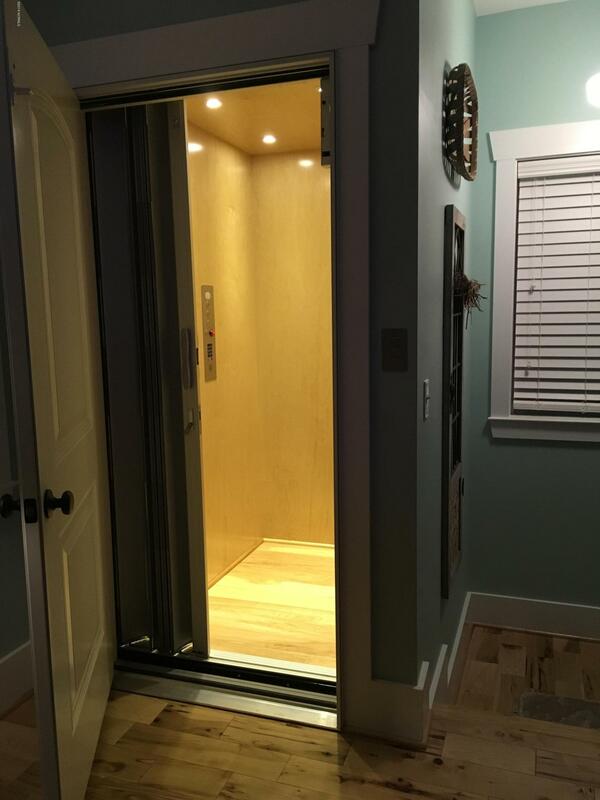 The elevator located within the garage rises to both floors of the home. 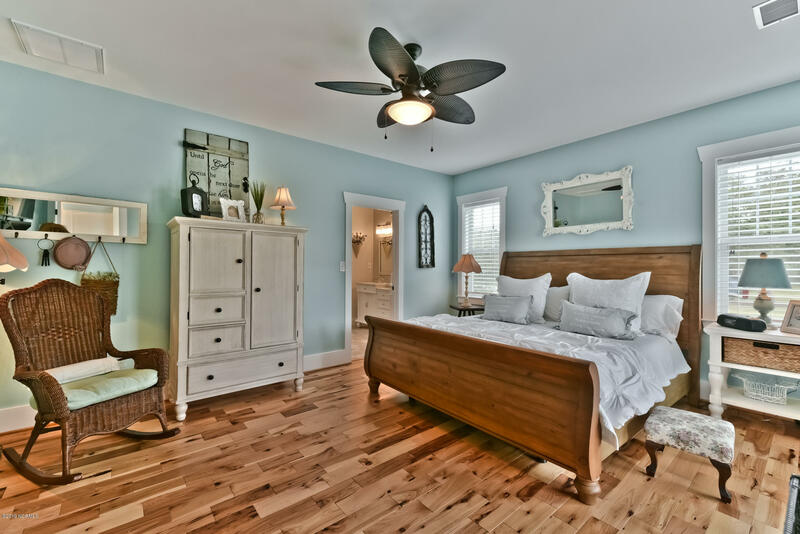 The 1st floor Master Suite creates a true sanctuary, generous in space & facility. 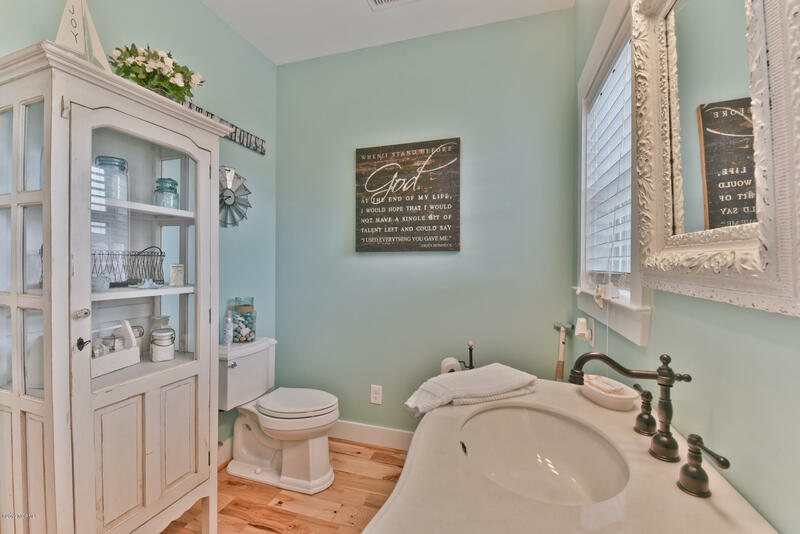 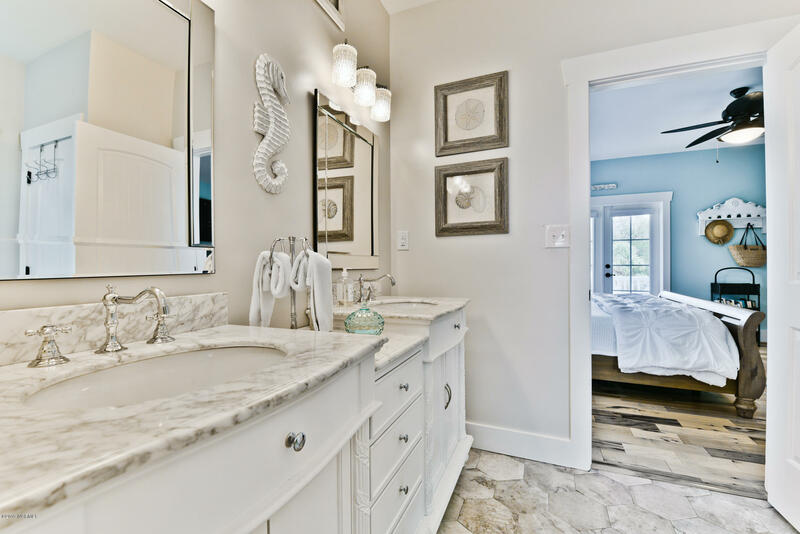 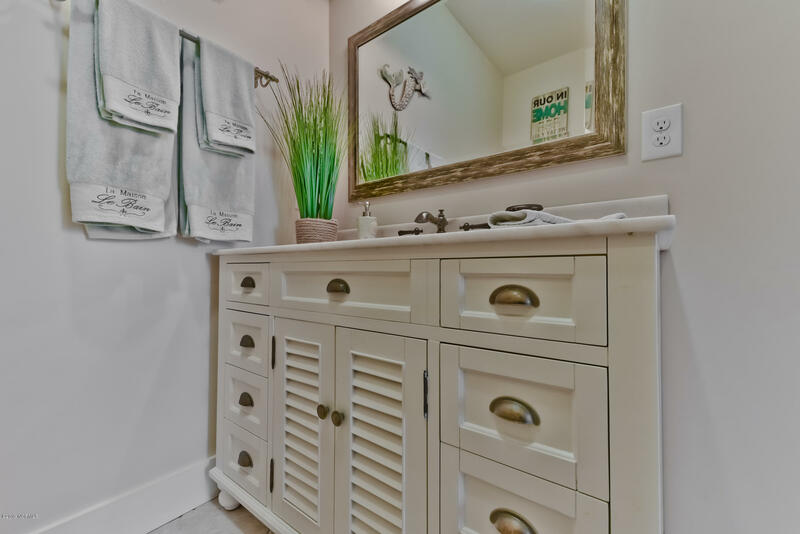 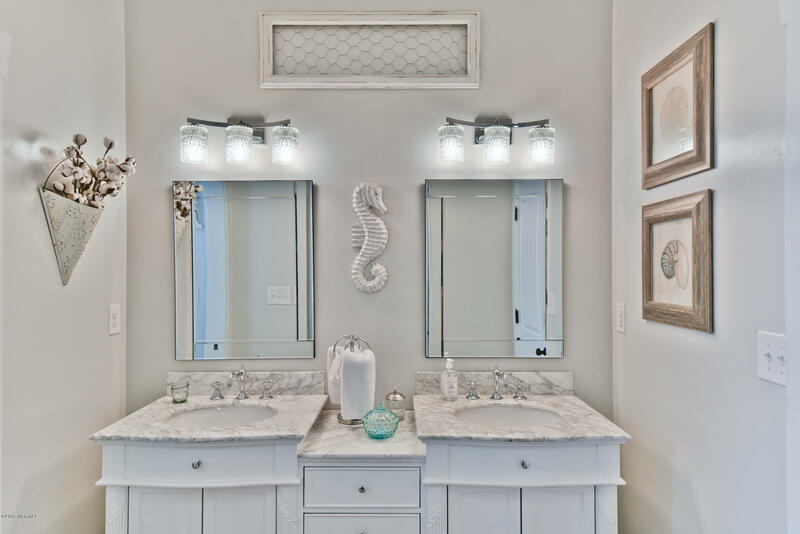 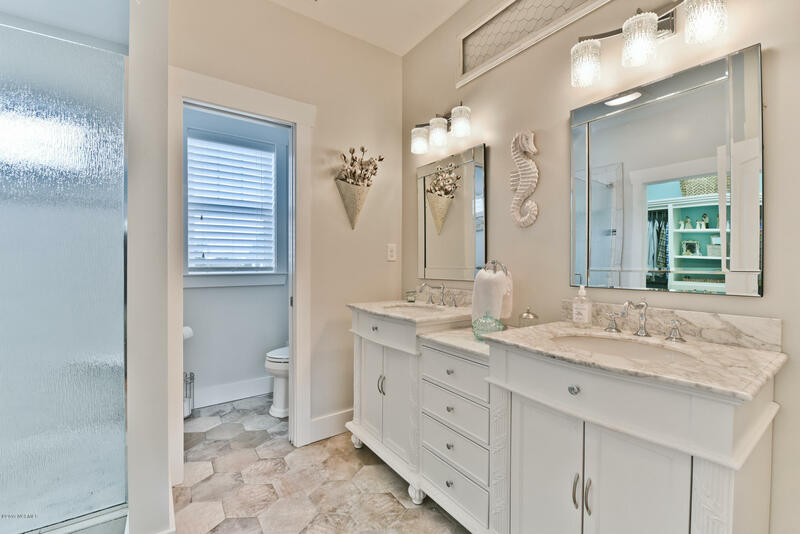 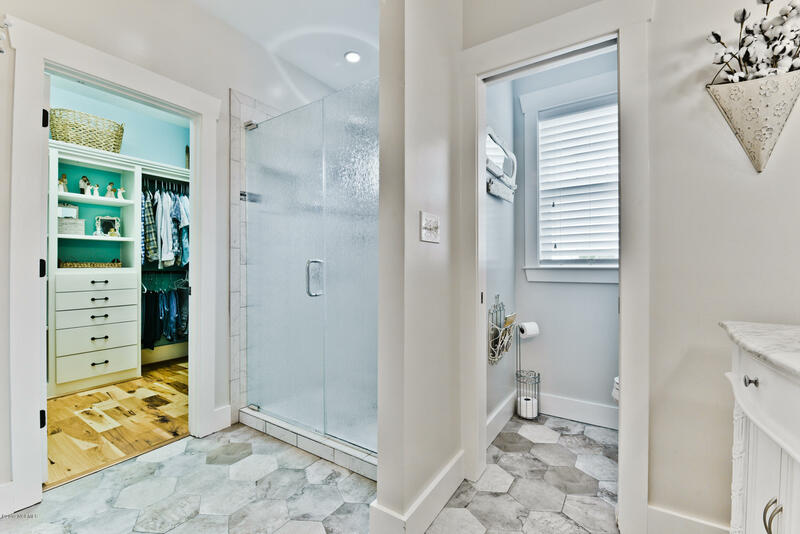 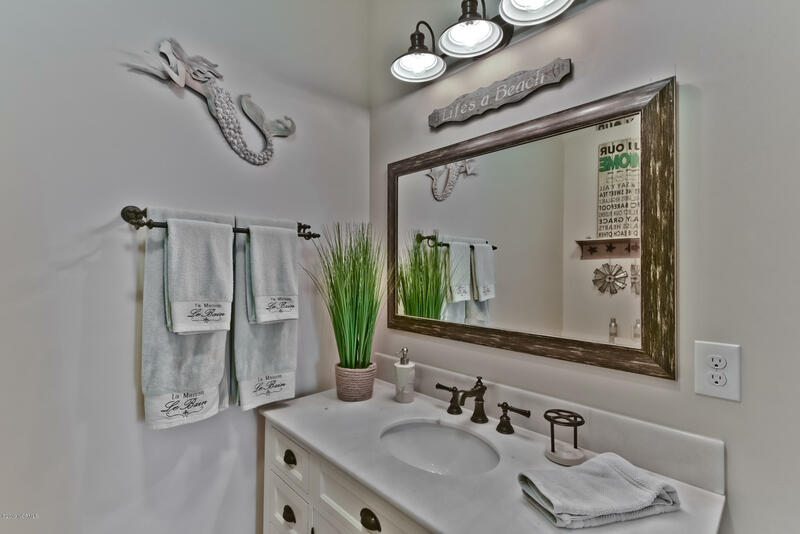 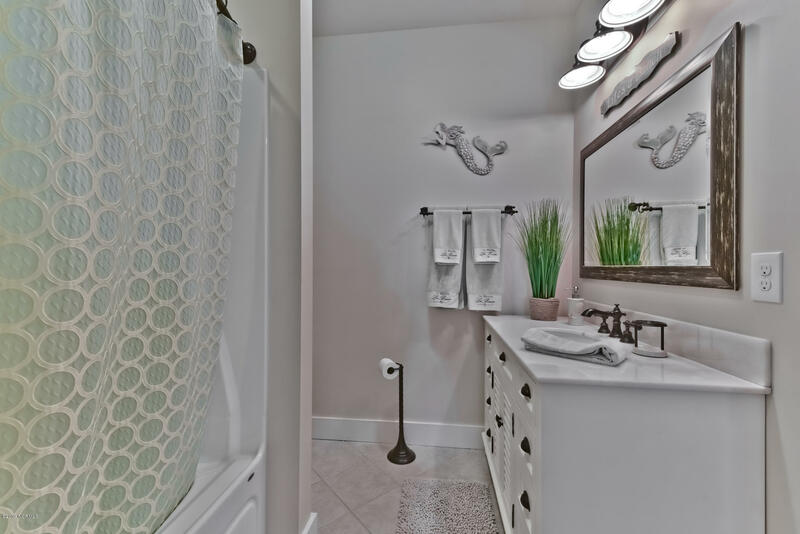 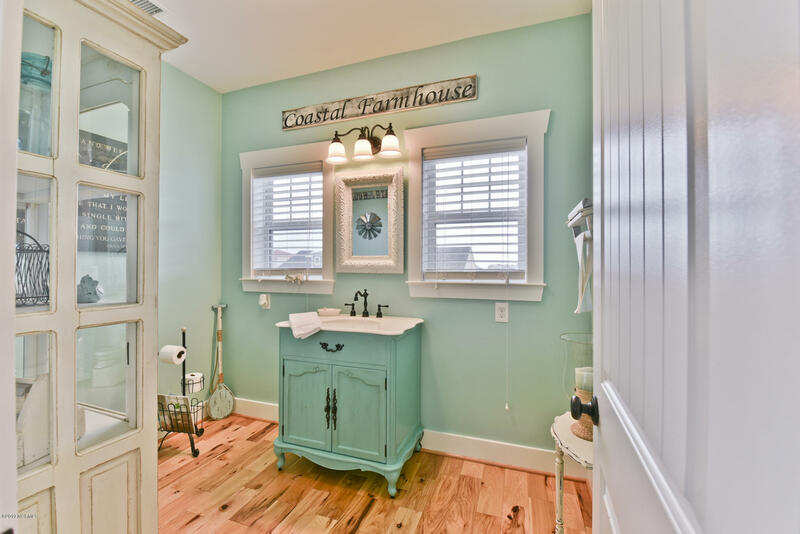 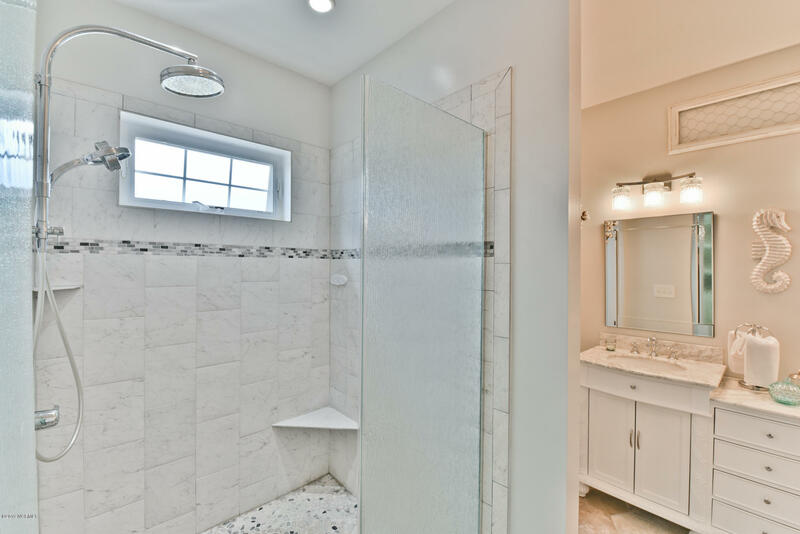 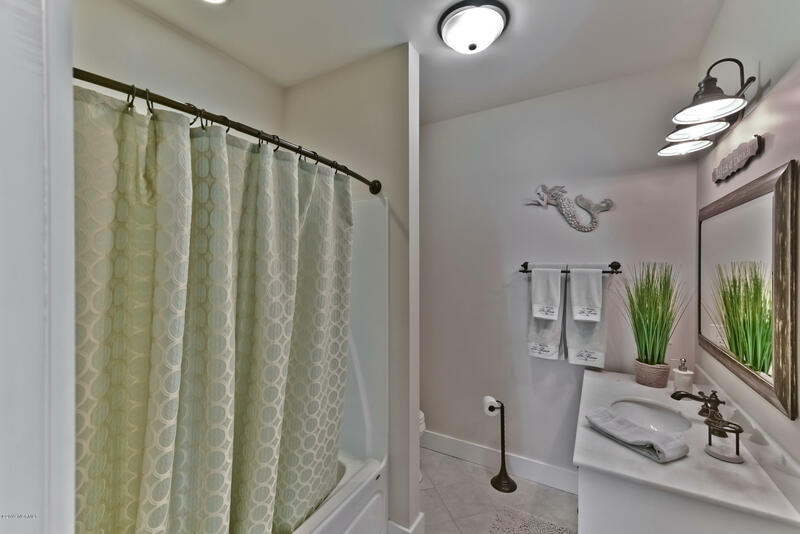 The Master Bath area features a tiled shower & a spacious walk-in closet. 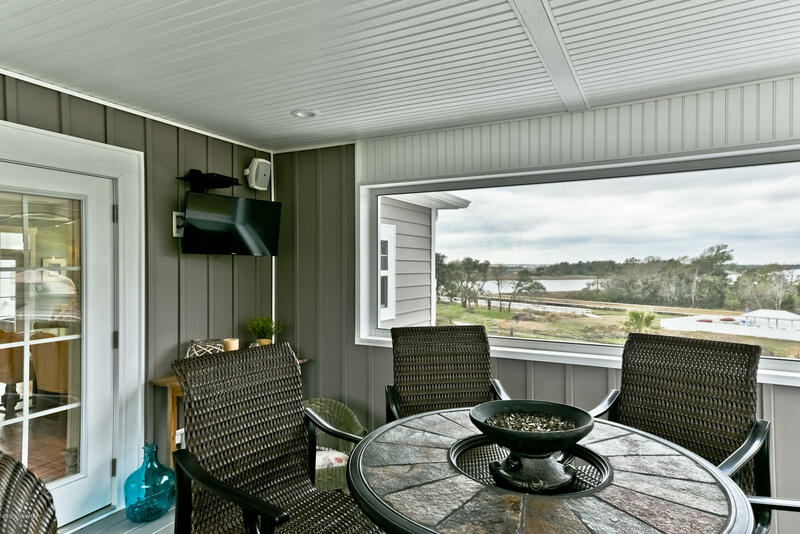 A private access to the rear deck creates a perfect spot for that morning cup of coffee while you enjoy the sunrise & fabulous sea breezes. 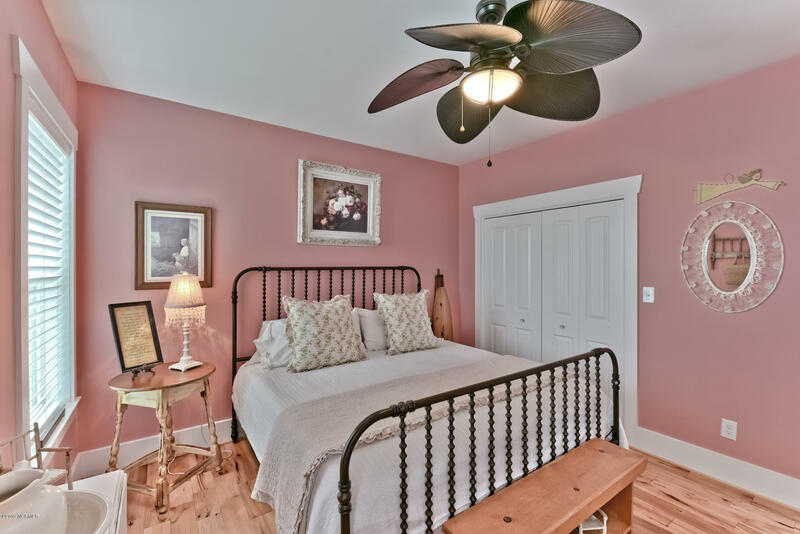 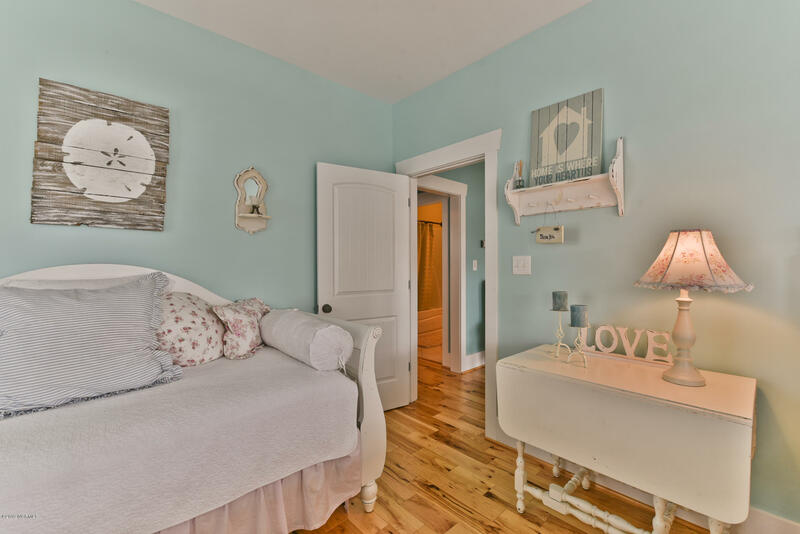 The two additional bedrooms are generous in both size & comfort. 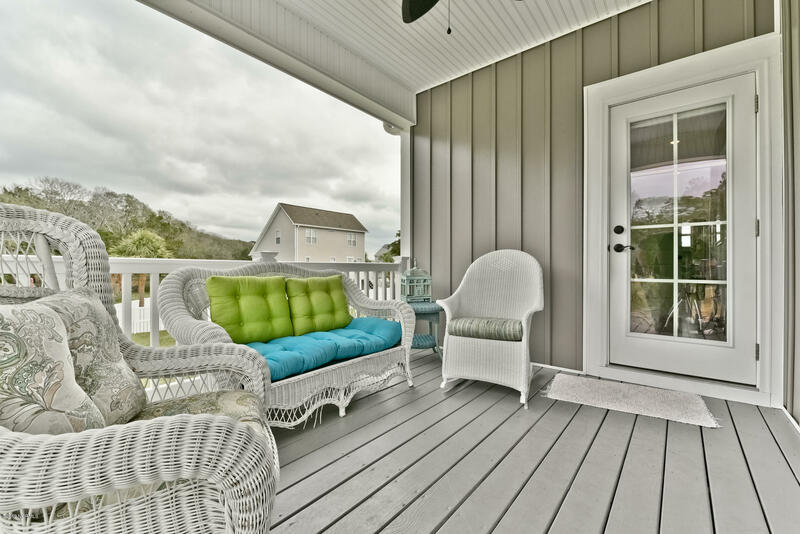 Continuing to the upper level, you are immediately met with abundant living space and a well-appointed kitchen. 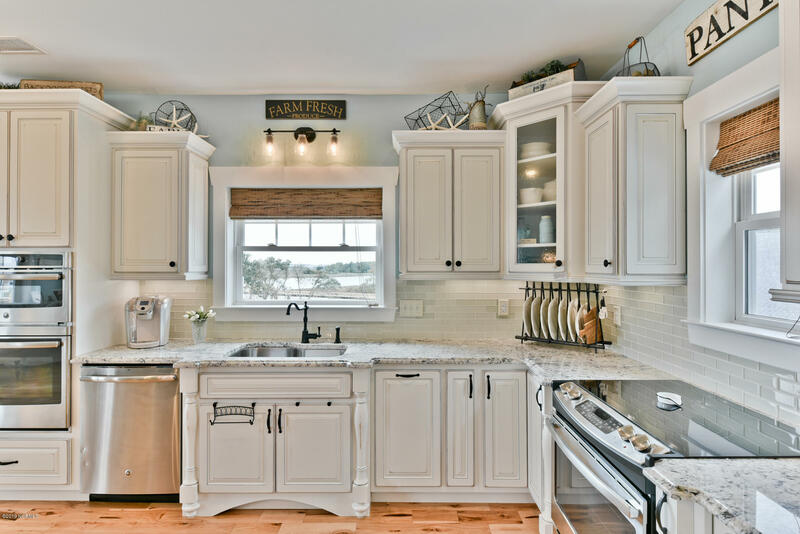 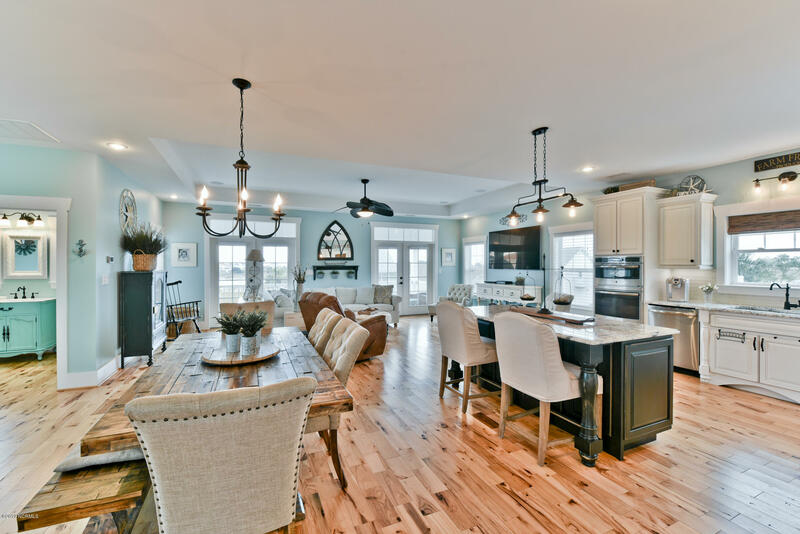 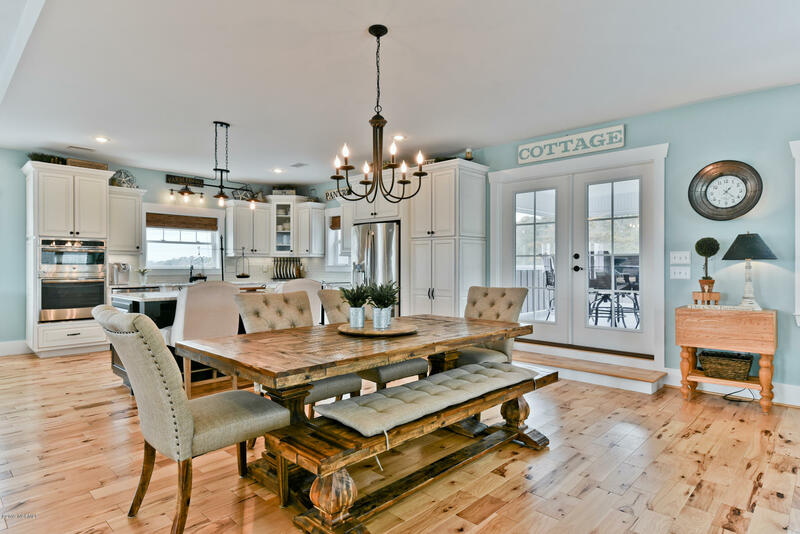 Stainless steel appliances are wrapped by beautiful cabinetry and a large beautiful work island adds to both storage and the Coastal Chic feel of the home. 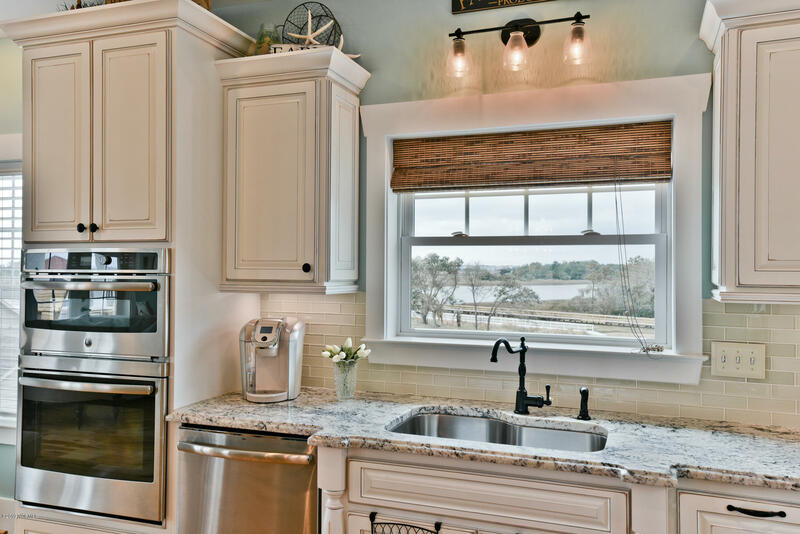 The deep sink (with a great ICW view, by the way!) 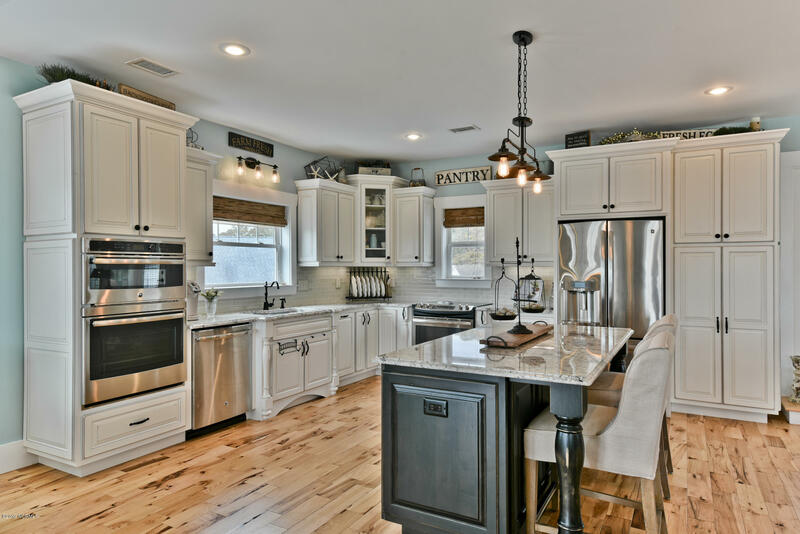 and granite countertops are just a couple of the details that make this kitchen! 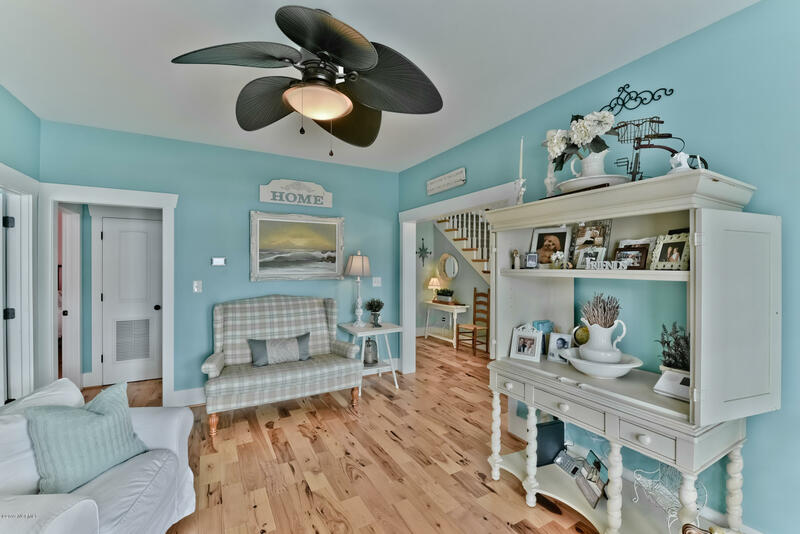 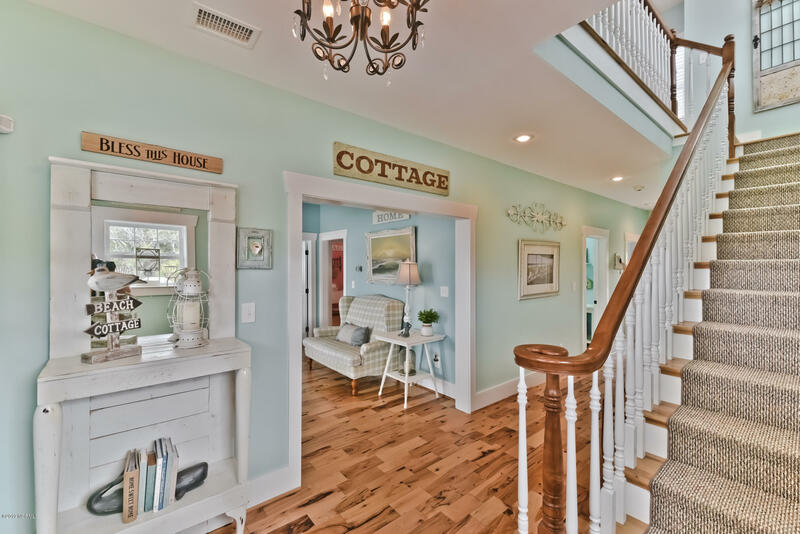 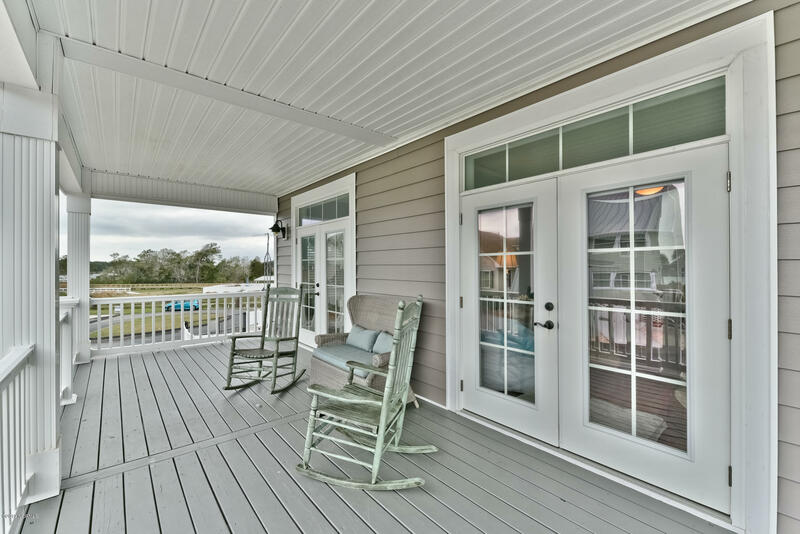 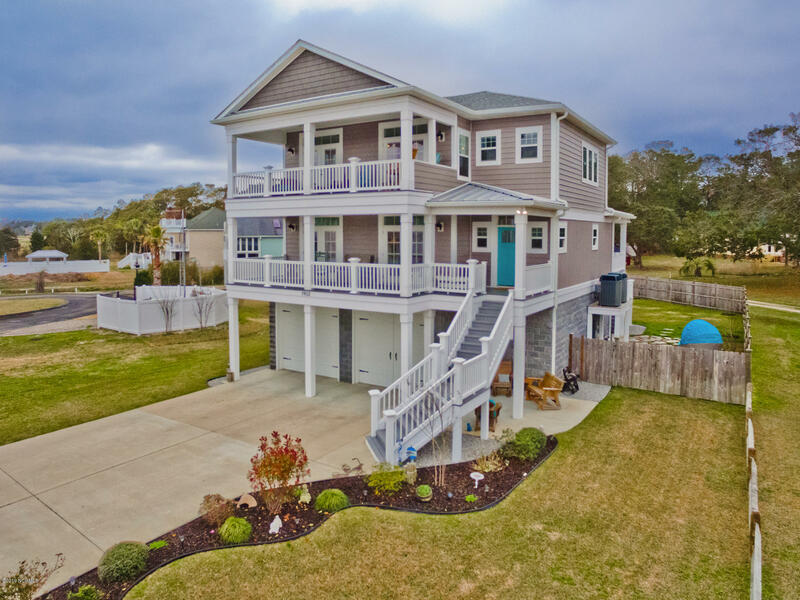 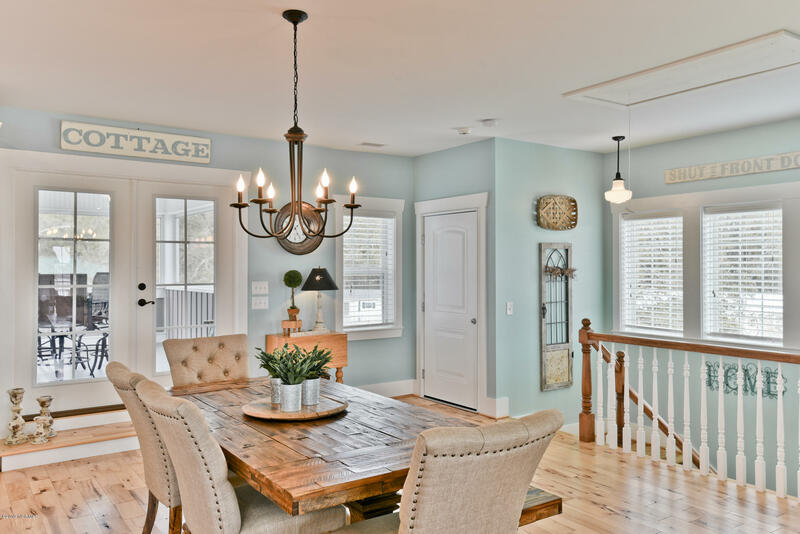 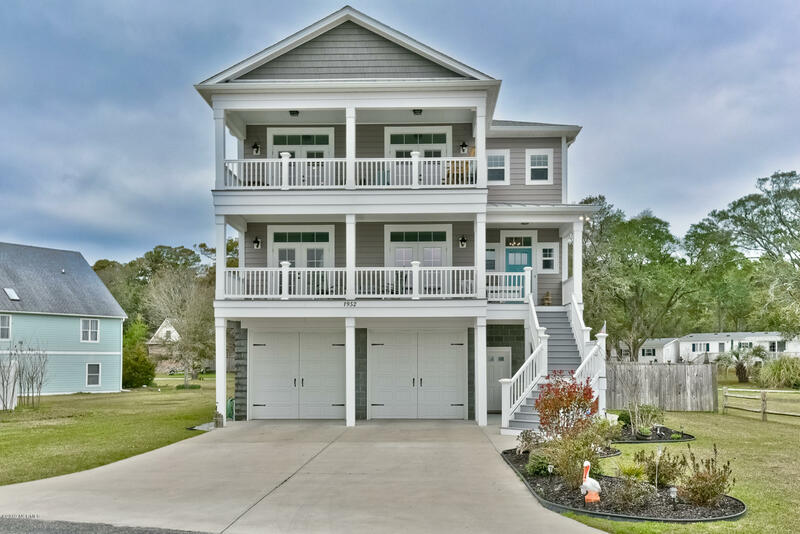 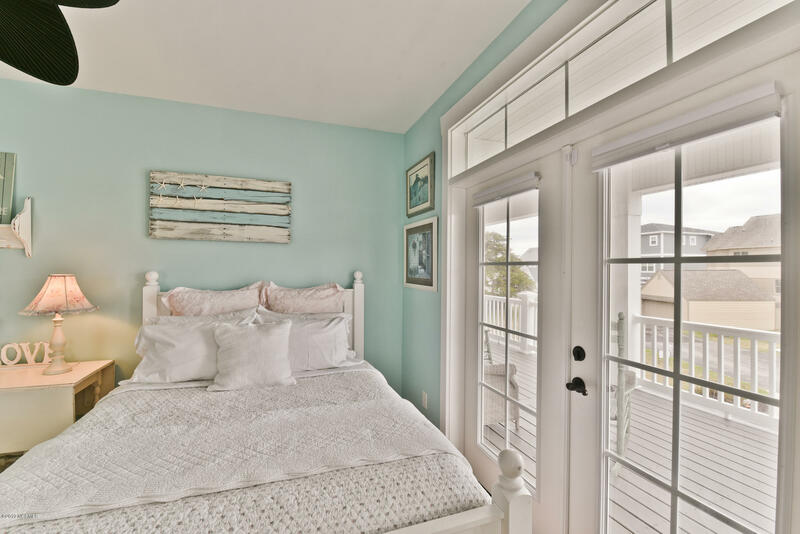 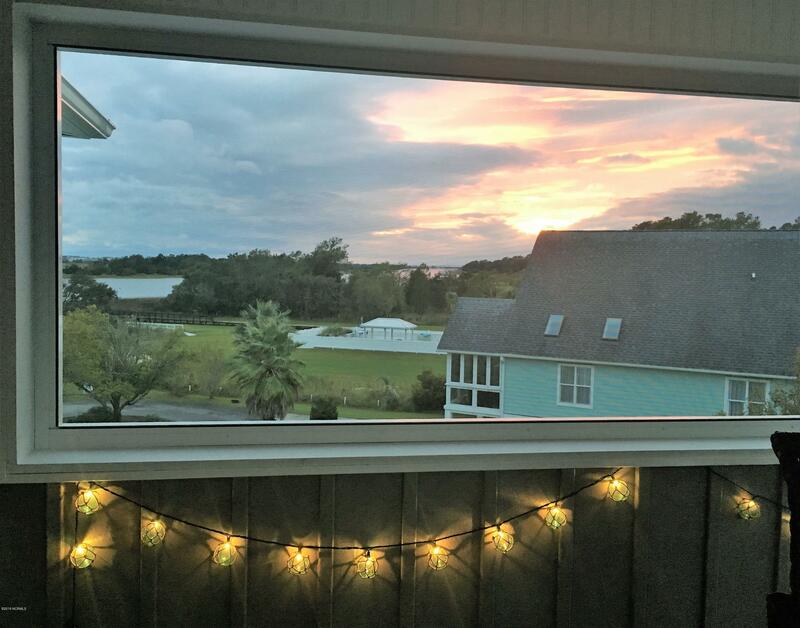 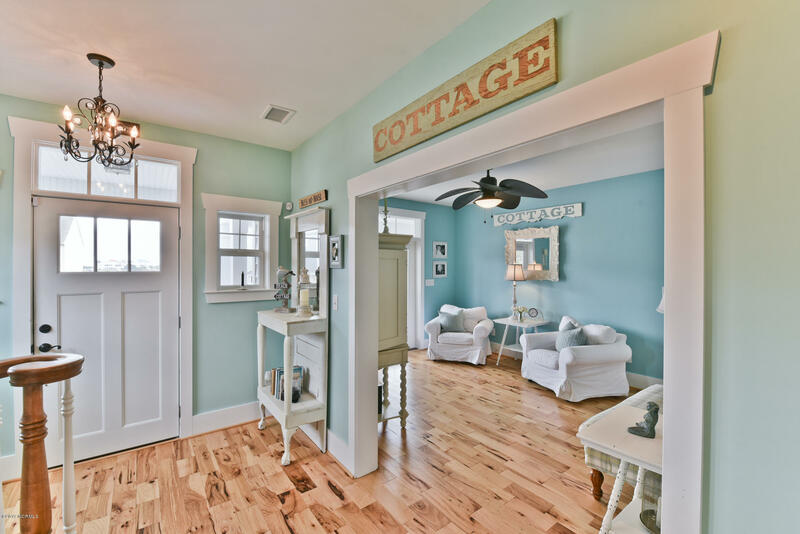 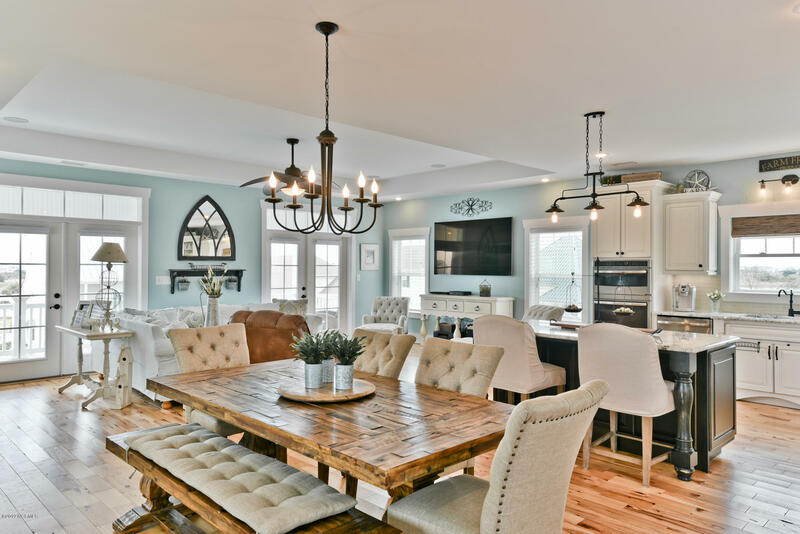 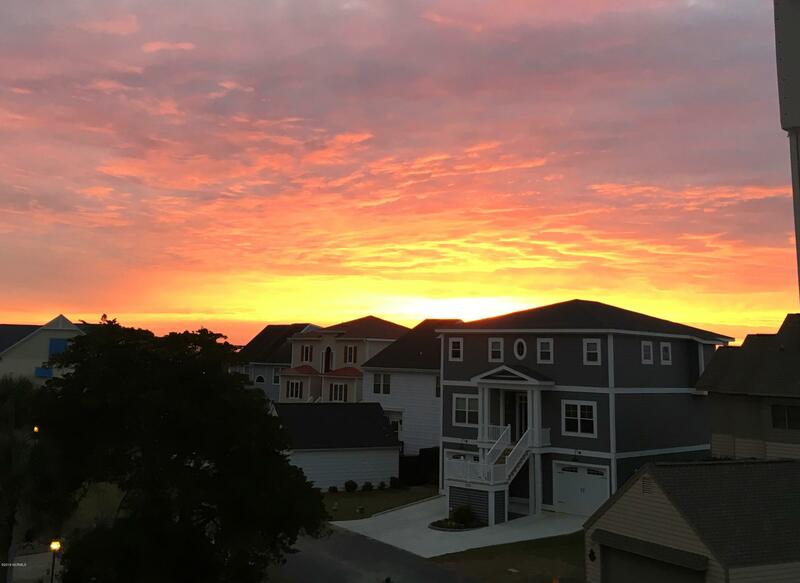 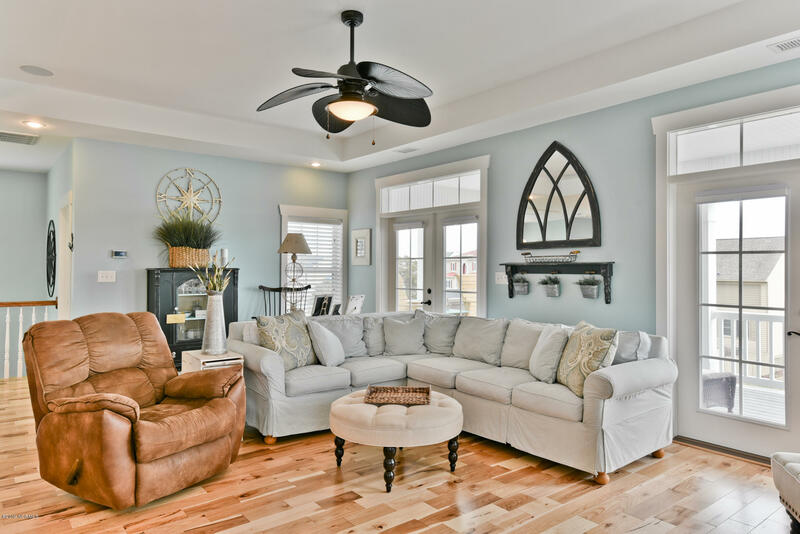 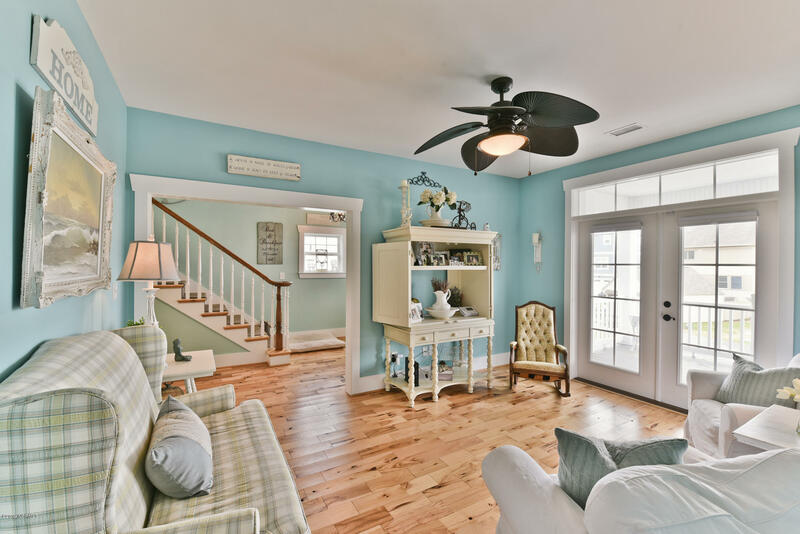 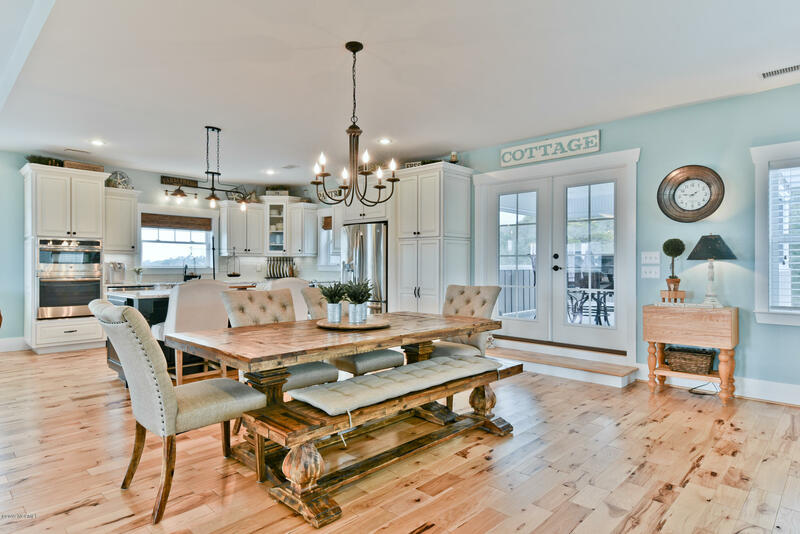 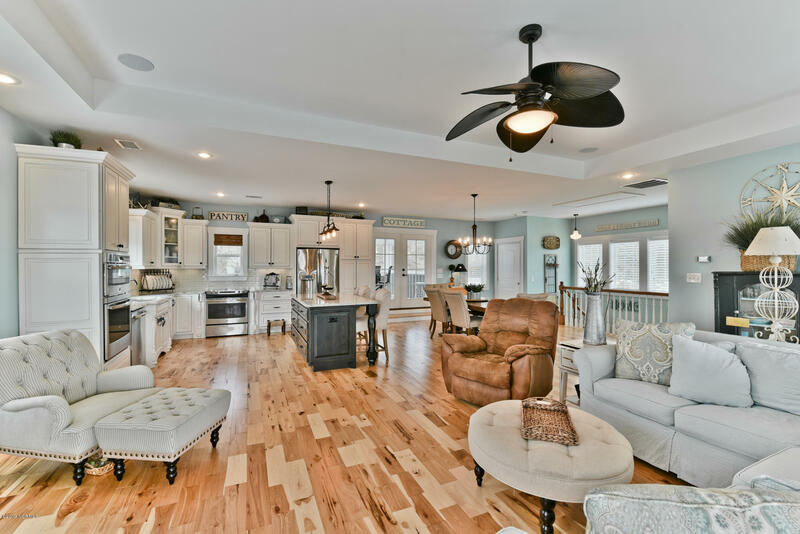 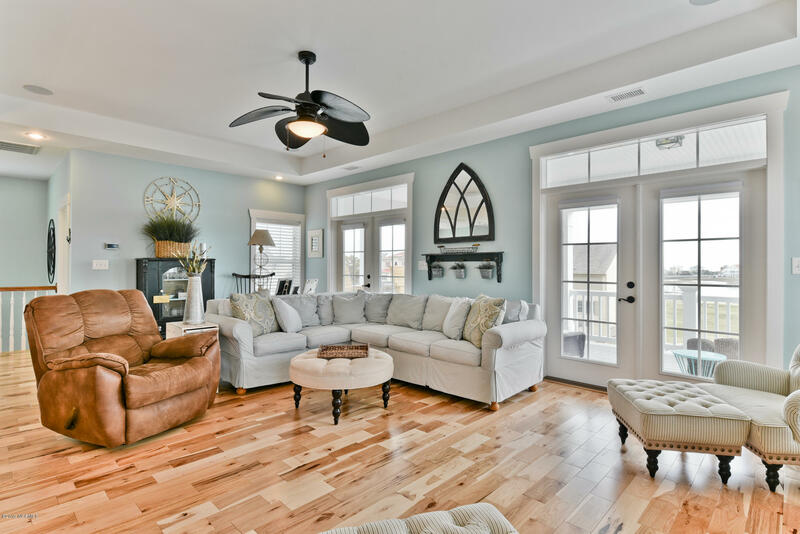 Then, for those evenings entertaining or just enjoying a glass of wine and watching the sun set over Ocean Isle Beach, the large screened porch offers an oasis within. 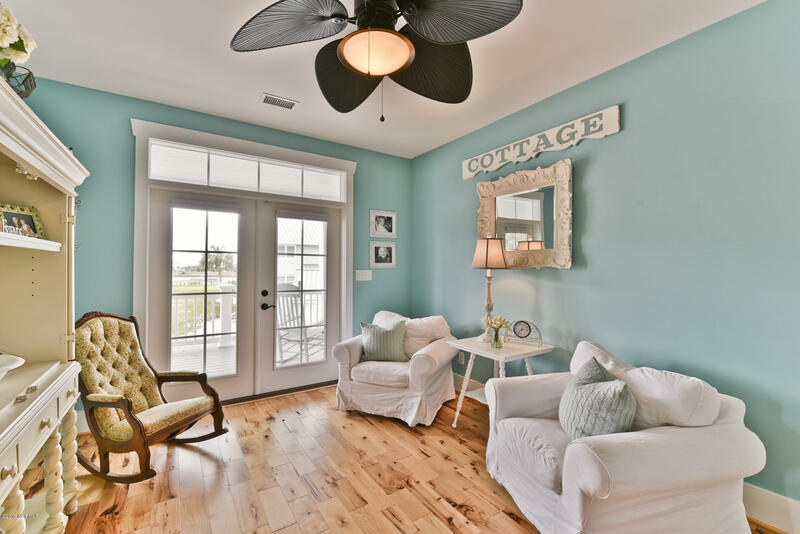 What a great space to unwind as you watch the boats go by and are lulled by the sound of the not so distant ocean. 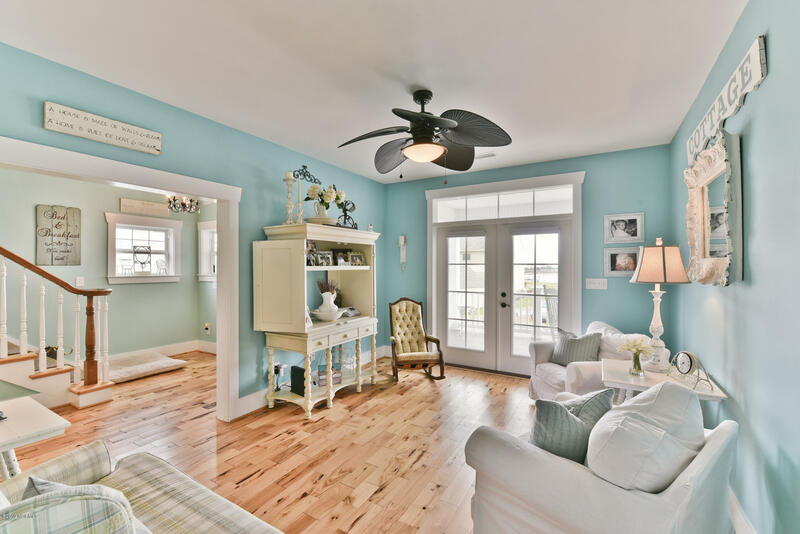 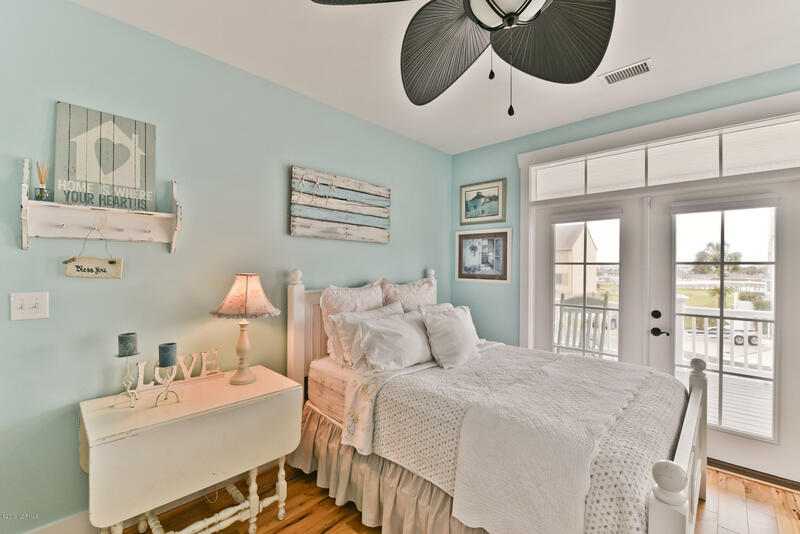 If you enjoy the beach, the pristine sands of Ocean Isle are less than 5 miles away by car. 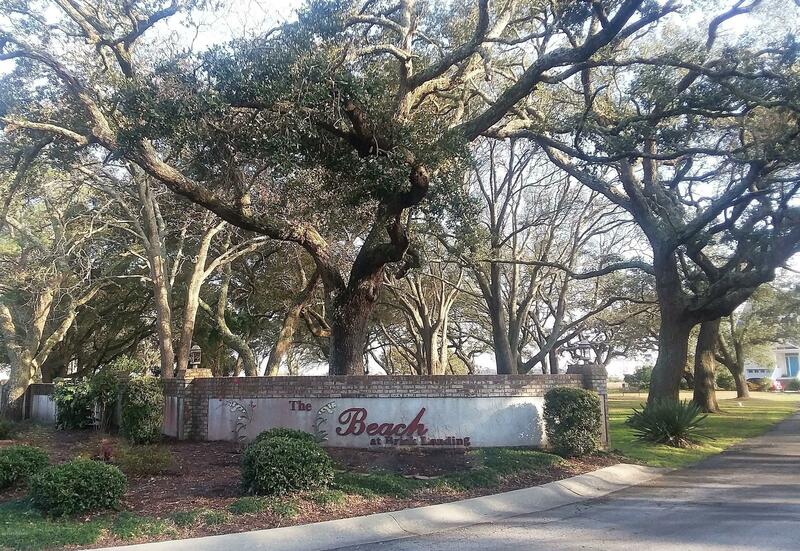 If you enjoy golf, you are just a 1/2 away from the greens at Brick Landing Plantation. 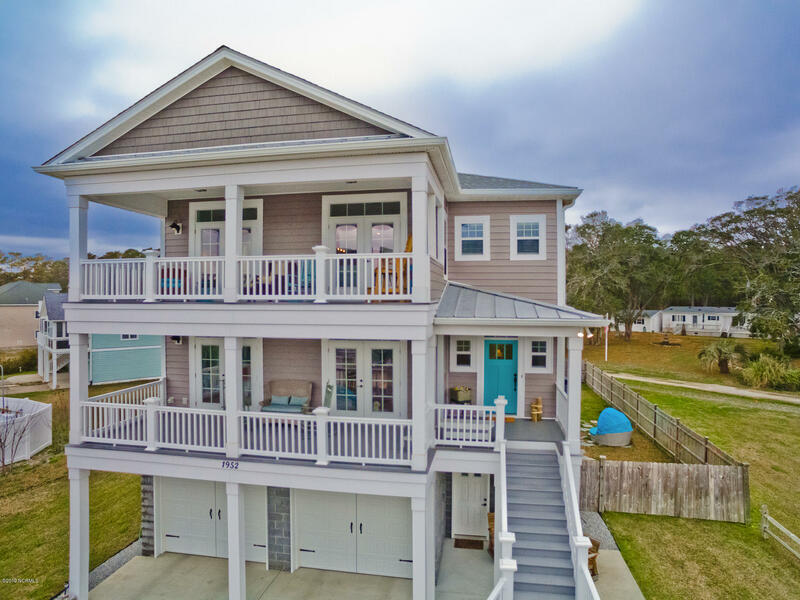 If boating is your pleasure, you are .3 miles from the new NC Wildlife Boat Ramp and just steps to your own boat slip (transferred via bill of sale) The community offers a pier, so you can sit at the waters edge and take it all in. 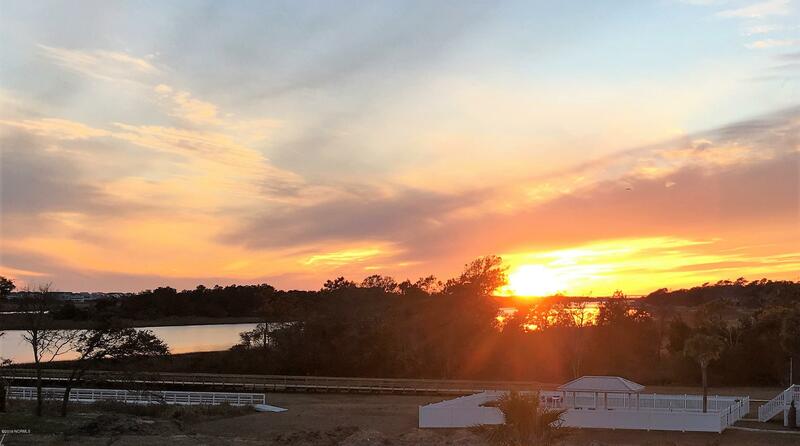 We really hope you'll visit, but more, we hope you'll decide to stay!